I get a lot of emails from students that sometimes turn into long interesting discussions. These can be anything from what guitar to buy, to questions about modes, arpeggios or general practise routine recommendations. These discussions have led to both my products developing as well as the occasional blog post, like this one. 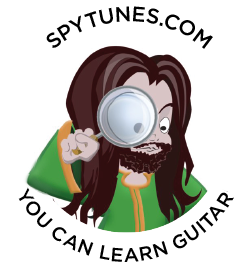 Hearing from you about genuine guitar playing problems is gold dust to me in order to improve the courses so please keep them coming, no question is stupid! Here’s a question I had about picking technique recently. Great question, I used to worry a lot about this. In theory, you could get loads of problems with anchoring since the distance between strings and body vary from guitar to guitar. So it would be really easy to jump to the conclusion that floating is superior, especially for speed! But in reality, I find that there’s always a way to anchor and that the problem only really is a problem in theory. I think at the end of the day you have to go for what is comfortable for your hand and adapt the rest of your technique around it. Funnily enough, when I stopped thinking about it I ended up, as you say, using both. However, I instinctively go for anchoring. I feel anchoring brings you closer to the instrument so to speak and that can never be a bad thing. Perhaps the best way out of anchoring is to start working on hybrid picking, that way you learn a new technique in which you have to float.